This attractive booklet is filled with an assortment of sticky notes that will bring an element of karma to even your most mundane tasks. 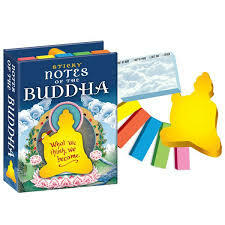 Some of the sticky notes are shaped like a golden Buddha statue. 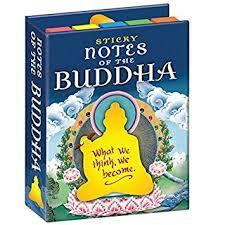 Use Notes of the Buddha, and your memos will never be more enlightened. When closed, the book of pads measures 8.2 x 10.8cm.